I’m so surpriced and happy! God quality!! Thank you!! I love my new sweats. They are super cute and go with almost every outfit I own. They are very comfortable whether you lounge around in them inside or even if you wear them outside in the summer heat. They material they use keeps you warm but it doesn’t make you too hot that you sweat. They shipped to me from Australia to the united states in only 3 days and regardless of the reviews online they came exactly how they looked in the picture. I will definitely be shopping here in the future <3. These joggers are everything! Super comfy and relaxed feel while still appearing out together. Love the red and high waist. I’m 5’8 and these are long enough. Highly recommend purchasing a pair...you won’t regret it! 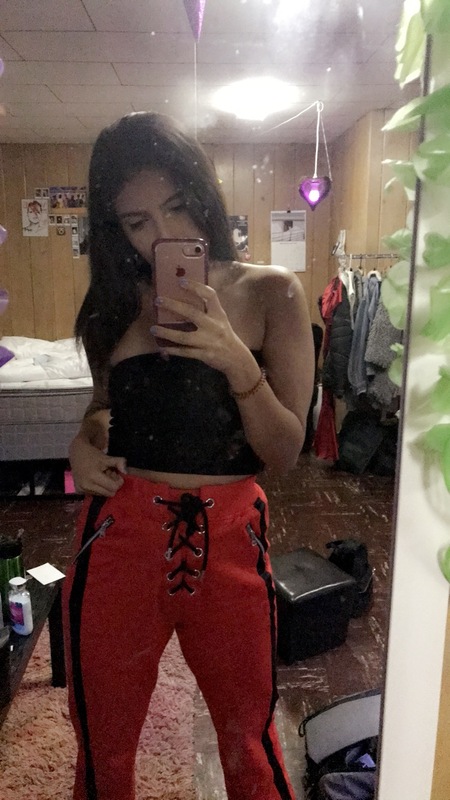 Love these pants so much! Going to wear as sweats or to dress up going out. I'm 5'9 and size small fit me perfectly for length so could be long on anyone shorter.